Expomed Eurasia was successfully held in Turkey from March 28-30, 2019. This event scope is from Hospital Equipment and Supplies, Electro medical Equipment, Commodities and consumer goods for surgeries and hospitals, Premises and building technology, Analytical Services, Lab Instruments, Glassware and Lab Chemicals, Laboratory Equipment & Clinical Chemistry, Premises and building technology. 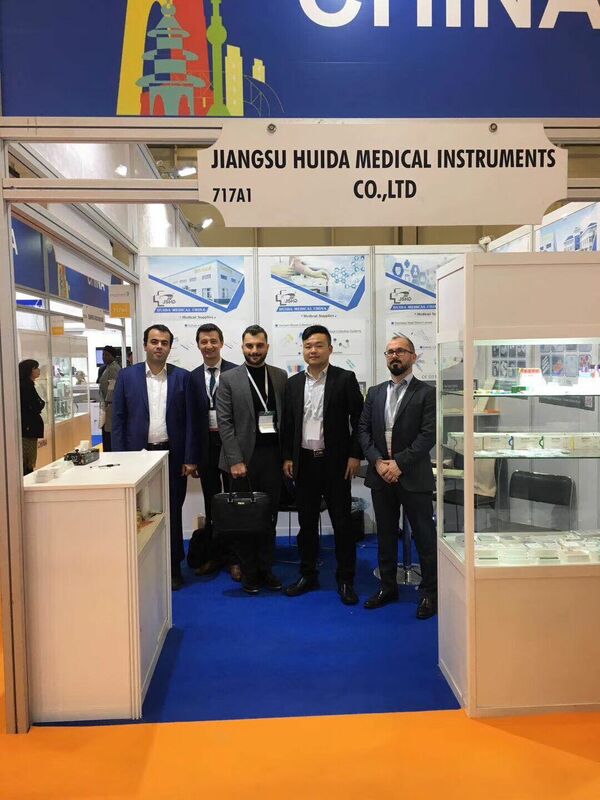 Jiangsu Huida as one of the biggest manufacturer of medical consumables in China, have a good cooperation with many well known companies in different coutries, Our Brand is well known in Turkey market. We aims to visit some old customers and listen to their feedback about our products. We also want to take this opportunity to enlarge our business in European and the Middle East. We have displayed main of our products in the exhibition, Such as Surgical suture, Surgucal needle, Blood lancet, Microscope slides, ID bracelet, Urine container and different kinds of medical consumables.